As part of the Connect() event Microosft released Visual Studio 2015 preview. It is an awesome version of Visual Studio with lots of new exiting features. Building cross platform apps is now integrated deeply into Visual Studio giving even more focus on Xamarin as solid cross platform technology. 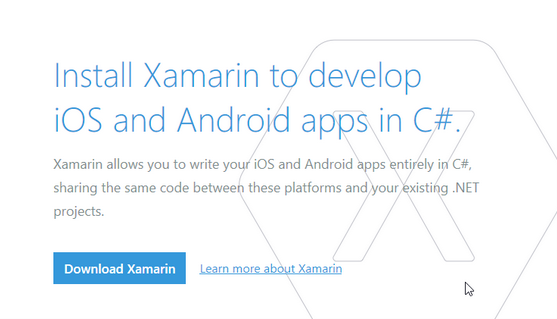 For period we have begun looking at Xamarin as part of our portfolio in Bluefragments. Hence the even closer relation between Microsoft and Xamarin is great for a company like Bluefragments. The installer for Xamarin for Visual Studio 2015 preview is available from within Visual Studio 2015 and you will be prompted to download it when you try to build your first Android or IOS app. By default, the Xamarin Windows Installer will just update the components you have previously installed, when applying an update. Since you previously didn’t have 2015 components installed, then by default you won’t be getting them installed right now – that is a bug and the workaround is right here.